Anti-Aging thought leaders have been saying for years, “Sleep on your back to avoid wrinkles.” Wellness thought leaders have been saying for years, “Sleep on your back for spinal health….with proper spinal support”. But what if you’re a side sleeper? As two Registered Nurses with a mutual experience and interest in Anti-Aging Medicine and Preventive health we set out to create the solution. 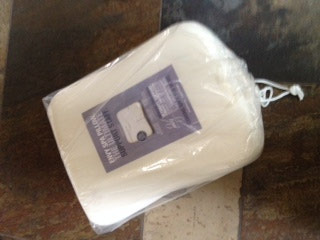 The enVy® Pillow – a new, made in Canada product designed with two objectives: to wake up feeling good and looking good. This unique Anti-Aging/Wellness pillow prevents sleep lines and promotes optimum wellness and comfort by providing proper head, neck as well as spinal support….whether you are a back sleeper or a side sleeper! Let enVy® keep you off your face and in proper neck alignment. We truly believe everyone who owns enVy®, will love it….and anyone who doesn’t will want to….and that’s how enVy® was born! enVy™ pillow’s target market… anyone who sleeps! Quality sleep… enVy® has been tested in a sleep lab and has shown a significant improvement in subjects sleep, producing a “more refreshing sleep and energy during the day”….as well as improved oxygenation in sleep apnea studies. Neck Pain/ Headaches/ TMJ disorder… enVy® has received endless testimonials from satisfied customers AND recommendations from satisfied professionals for its remarkable ability to reduce, if not eliminate, the painful effects of poor neck misalignment in our daily lives as well as the effects of our improper sleeping position at night. Sleep Lines and Facial imbalances… enVy® Pillow’s patented design allows you to sleep on your side WITHOUT putting unwanted pressure on your facial tissue…reducing and in some case eliminating the “folded face” we side sleepers wake up to. Post Cosmetic or Dental Procedures…. IPL, Laser, Facial Fillers, cosmetic surgery, eye surgery, dental implants, nose or jaw surgery….the simple fact that enVy® keeps you OFF YOUR FACE makes it a “Luxurious Necessity”. Acne and Rosacea… enVy®‘s memory foam construction and 100% Bamboo fabric are both naturally resistant to dust mites which are a major cause of allergies. Additionally, dust mites have recently been connected to acne and rosacea….enVy® assists in the recovery of these conditions and assists in keeping skin care treatments ON your face and the pillow fabric OFF your face! ALL this at only 10 cents a night! See the Canadian founders of enVy Pillow on Dragon's Den! enVy™ truly is a complement to any other product or treatment offered by you.